You have made the decision to market your practice online and you know you need a website. A good website is a professional representation of who you are and what you do, but what about a logo? A professionally designed logo leaves a mark that is synonymous with the care you provide. Once that mark is established, it can be used in any promotional materials you develop – business cards, invoices, newspaper ads, TV ads, brochures, or websites. A logo opens the door to infinite possibilities for how you present your practice to the public. You've worked hard to become a medical professional, gone through extensive education and training, and become an expert in your field. Patients may know what you do, but do they know who you are? A great logo is unique, specific, and customized to your needs. Clip art simply won’t do when you are trying to differentiate yourself from the pack. 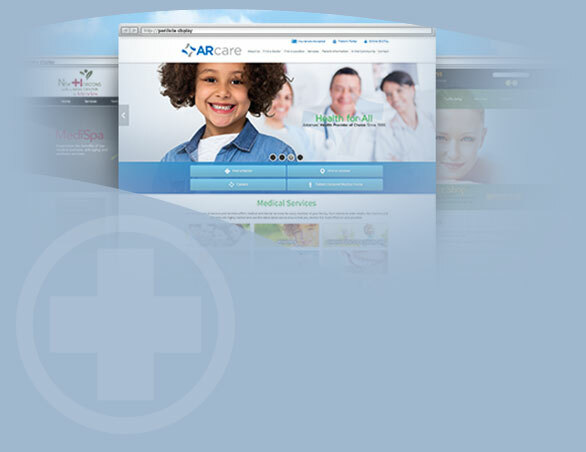 iHealthSpot develops award-winning custom logos that give you a unique identity without breaking the bank. Our professional team works with you and, if needed, guides you to establish colors, symbols, tag lines, and artwork that truly embodies the image you want to portray and that speaks to who you are as a professional. Our design team takes your ideas and makes them a reality – quickly and affordably. Special discounts on logo development are available if you purchase a website with us. Contact us today by completing our online contact form or call us toll-free at (877) 709-0999.